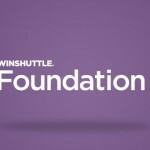 You may have heard you can accomplish active data governance with Winshuttle Foundation – but did you know Winshuttle Studio also provides you with active data governance capabilities for any SAP transaction? 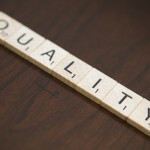 Here are some easy ways to maintain high-quality data entry with Studio, by achieving complete and correct SAP data. In Studio v11, you can set any mapped fields to be required, whether SAP requires them or not. If there are data points you want to ensure your users complete, (even if the SAP t-code doesn’t require it), simply flag the field(s) with the Data Required flag. This ensures users do not omit any of the key fields. If you want to conditionally require a field, you can do so by combining the required fields with an IF condition. In both Studio v10 and v11, you can define your own custom list of what values should be allowable for a particular field. So regardless of the long list of values that might be available in SAP for any given field, you can customize your own list of limited values for your users if they use a particular Winshuttle script. You can have conditionally allowed values by combining different allowed value lists for multiple instances of the same field along with IF conditions. If the value of any given field won’t change and doesn’t require user entry, then there’s no need to map it to a column. This way you can ensure there is zero chance that an incorrect value will ever be selected by the user. If the value of the field can change for different scenarios, then combine it with IF conditions to have conditionally fixed values for different scenarios. A master data governance best practice is ensuring consistently formatted fields, such as using all capital letters for customer master and vendor master names and addresses, using specific phone number formats, having a set number of decimal places, etc. With Studio v11 it’s possible to transform data in the fields using Excel formulas so that the field can be automatically formatted with your business rules. If a user enters data in lower case, the transform function will automatically turn those into upper case, and that data will be uploaded into SAP. 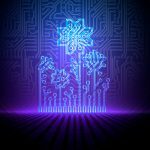 When existing data is changed, another data governance best practice could be using the backup data functionality to automatically create a backup of the changed values. This way, whenever data is changed using Winshuttle, the original data will be will always be available in case it’s needed in the future. Any field-based properties that are set will be checked when a user runs a ‘Check Data’. This is essentially an offline validation of the rules that have been set for the data. If anything violates the rules, the inconsistencies will be returned to the user. Check Data is also run at the beginning of any validation. Validations ensure that data available in the spreadsheet will be accepted by SAP as having valid data for all the upload fields. You could also force users to validate data before doing a run by setting an IF statement around the commit function code in the script to only run if the validation column has a “Success” message. Without a successful validation, users will be prompted to validate data first before they are allowed to run it in SAP. The message presented to the user can be customized by doing a transform of the error message that’s returned by trying a run prior to validation. You can always use Studio to help clean up bad data. You can harness the power of Studio to help you ensure your data is good before it ever gets into SAP. Prevention is the best medicine!